With fewer news outlets, and fewer employees, local journalism is a troubled — but still essential — institution. PACKING UP BOXES after signing off from a four-decade run as a Seattle journalist, Enrique Cerna can’t look at the notepads, awards and other touchstones of a notable career without feeling a touch of distress intruding on satisfaction for a job well done. 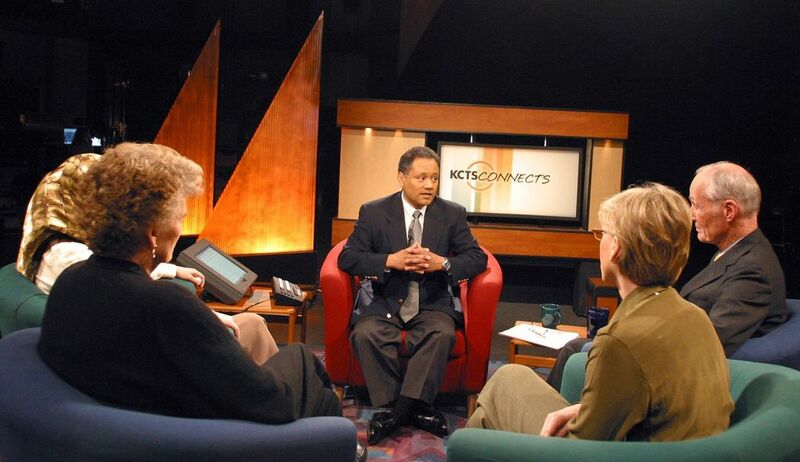 Cerna, a Central Washington native and broadcast fixture since his humble beginnings as a KOMO radio reporter in 1975, retired from his last gig, at KCTS, the local public-television outlet, last month. 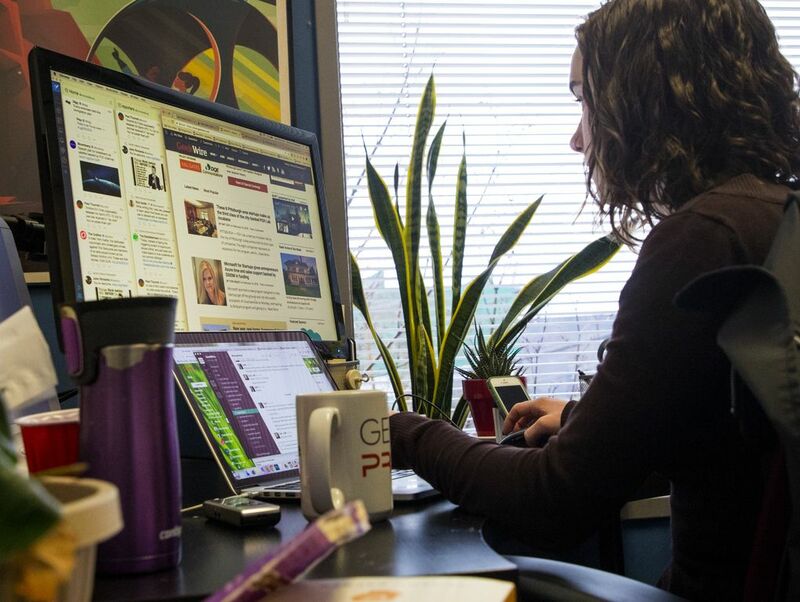 But like other local journalists opting out of the business — through retirements either voluntary or, in too many cases, forced — Cerna is troubled about the future of local media. And as much as he hates to say it, from there it is a small hop to fear about the fate of democracy itself. As is the case in most major cities, “Media and journalism here are challenged,” Cerna says. 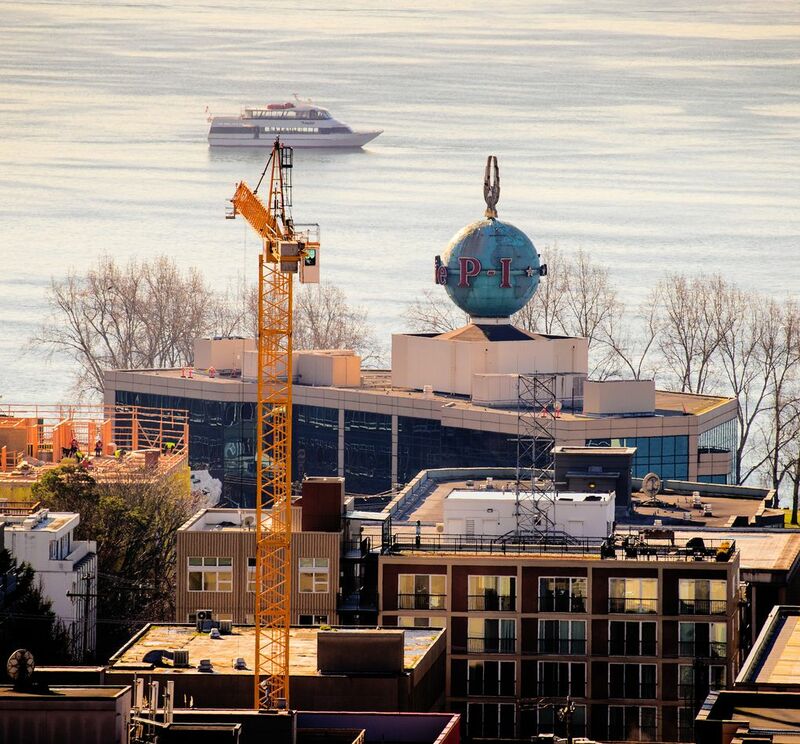 Since the closure of the Seattle Post-Intelligencer, Seattle has been a single-newspaper town. Numbers of reporters at other local news organizations, also mirroring national trends, have plummeted. And while some bright-light media startups (more on these in a moment) have emerged to fill coverage gaps, the general state of the media in the Puget Sound region, most agree, is troubled. In the latter stages of Cerna’s broadcast career, all three local network television affiliates have changed hands to corporate owners devoid of institutional knowledge of the region — with a fixation on profit that eliminates most in-depth journalism, let alone regular, focused community-affairs programming. Cerna once hosted diversity-focused shows, notably KING 5’s long-running “Celebrate the Differences,” which ended in 1990, on local TV outlets. And in an era of heightened racial tensions, where that sort of programming might be most productive, “We don’t do that stuff anymore,” he laments, noting that the programming was the direct result of the civic-mindedness of the station’s former owner, the Bullitt family. Broadcast news itself is “more quick-hitting,” Cerna says, politely. “I would hate to say it’s shallow. But local news staffs, he adds, “are having to do so much stuff” to fill expanded time slots, with fewer reporters. JOURNALISM OFTEN is aptly defined as “a society’s conversation with itself.” Increasingly, in a digital world where everyone is their own publisher and “alternative facts” are traded as currency, that conversation is stilted, bordering on babble. The impact on civic discourse — broadly lamented, nationally — has been profound, and surely contributes to the nation’s seemingly intractable political divisions. 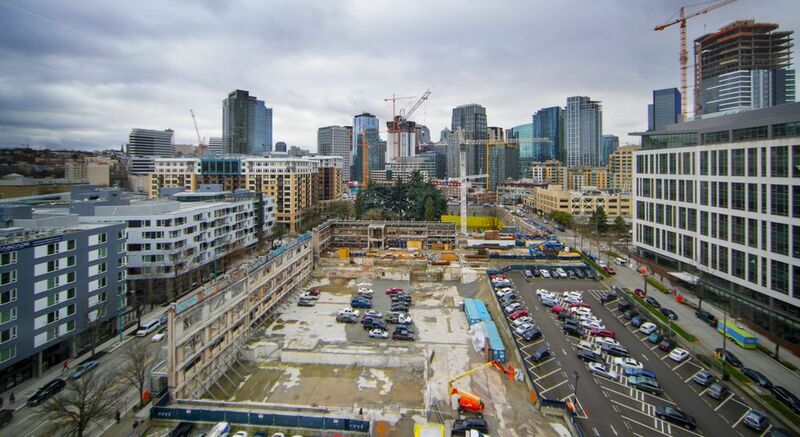 But in the relatively isolated media bubble that is Seattle, it’s easy to overlook the profound changes that have altered the way most residents of the booming Puget Sound region consume their news — and form their own opinions — right here, just in the past decade. The 2008 Great Recession rocked the local news industry even more profoundly than other businesses, thanks to dramatic structural changes in media business models that had begun a decade earlier: The industry was already staggering after body blows from plummeting revenues related to the digital revolution. A resulting wave of media consolidations left an indelible mark on the ways news is reported and disseminated in Seattle. Since what most journos now wistfully consider the high mark for local journalism enterprises — the 1990s — the regional media landscape arguably has been struck by more radical change than in the entire preceding century. The foreshock was the abrupt shuttering, save for a skeleton-crew website still bearing the nameplate, of the venerable, Hearst-owned Post-Intelligencer. Its closure was a loss still felt broadly by Seattle-area legacy citizens — even journalists who now dominate a once highly contested news playing field. The P-I was far from the only loss. The King County Journal, the remnant of the former Valley Daily News of Kent and the Bellevue Journal-American, which covered the rapidly growing, increasingly diverse Eastside, was shuttered in 2007 by Sound Publishing, a division of Black Press of British Columbia. That chain since has acquired most of the Puget Sound region’s weekly newspapers, as well as The (Everett) Herald. Less visible, but equally profound, were tectonic shifts in local broadcasting: KOMO, KING and KIRO’s transition from generally civic-minded local ownership to corporate control profoundly curtailed community news programming and newsroom staffing. The entire investigative team at KOMO was laid off in January 2017 by Sinclair Broadcast Group, a growing, conservative-aligned colossus that owns more than 170 stations nationwide — and, critics fear, is poised to shut down the newsroom at the fourth local station, KCPQ, through another consolidation. AS BAD AS all that change was, it was about to get worse. 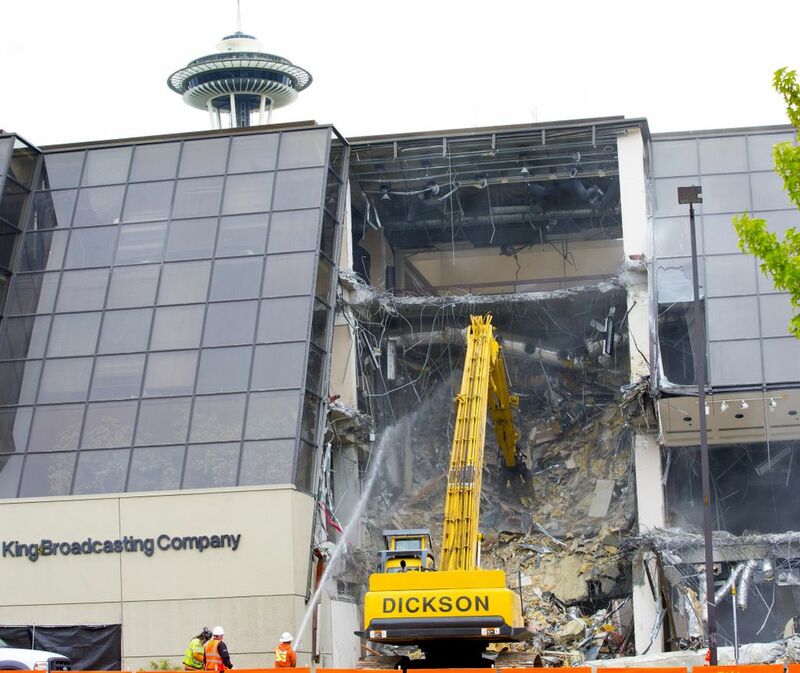 In the past two years, yet another wave of cutbacks and consolidations slammed Seattle newsrooms. 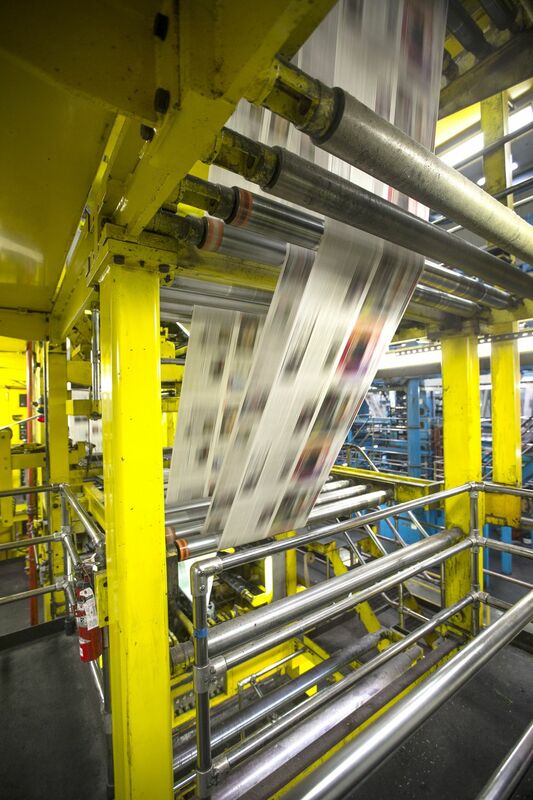 The Seattle Times, under the private ownership of the Blethen family since it bought the 5-year-old paper in 1896, is still the region’s largest news organization. 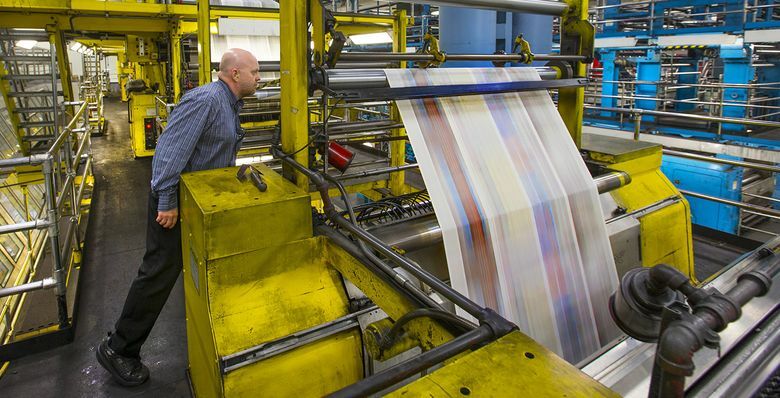 It has refocused most of its news products to the digital realm while continuing to print a daily newspaper. 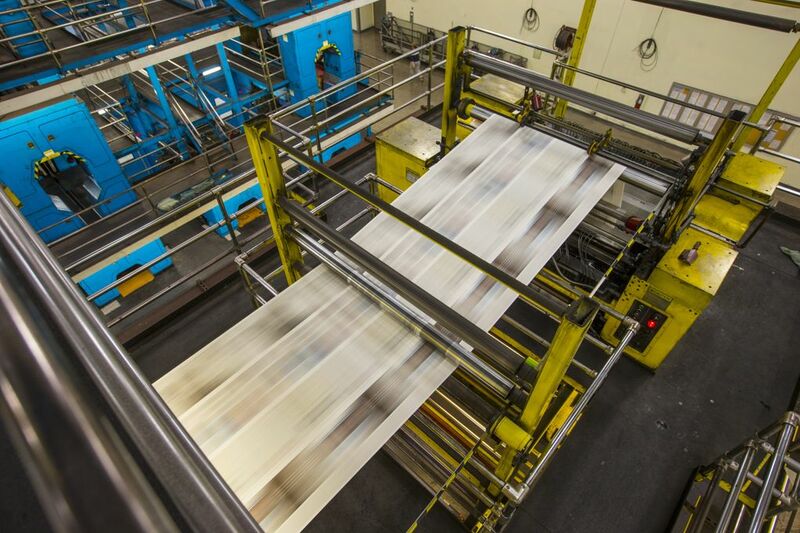 But it has been forced to do so with a fraction of its former journalistic workforce: The paper’s newsroom, which in the mid-1990s numbered more than 375 souls, now employs about 145. The Seattle Weekly, long a strong alternative voice after its founding in 1976 by Brewster, last year saw what remained of a former staff of about two dozen slashed to three under new ownership (2013) of Sound Publishing. The Stranger, the city’s other prominent alt-news source, largely maintained staff levels but switched to biweekly print publication in September. Breaking News, an experimental, 5-year-old NBC unit based in Seattle, was shuttered, as were The Seattle Times-owned Issaquah Press and Sammamish Review. The McClatchy-owned News Tribune in Tacoma, and paper-thin-staffed siblings, The Bellingham Herald and The Olympian, saw further drastic newsroom staff cuts in recent months. “What you have, as a result of that, is cities … without any coverage whatsoever,” Seattle Times reporter Mike Rosenberg, representing the Society of Professional Journalists of Western Washington, told a state Senate panel on media consolidations in February. “It’s not just the watchdog reporting that’s impacted, but even basic, functional reporting,” added Rosenberg, the Times’ real estate reporter. Countless local institutions “simply aren’t covered anymore,” he said. Statewide, the number of working journalists in what’s now considered a “legacy” industry, newspapers, fell from about 7,200 in January 2007 to about 3,600 in late 2016, according to the state Employment Security Department. Wages are on a similar glide path, especially when compared to the local cost of living. 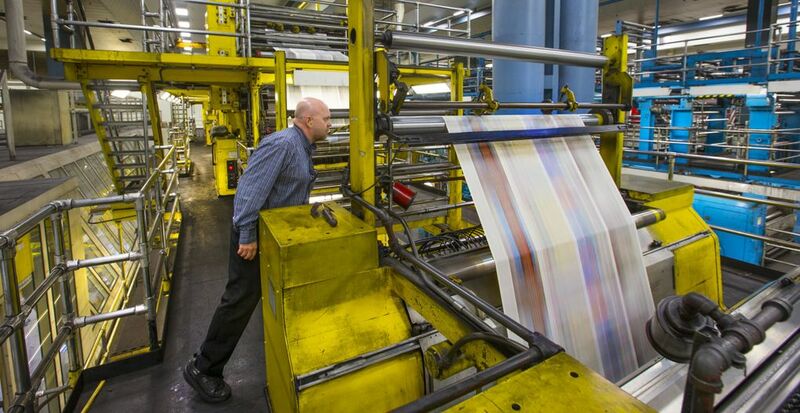 Ten years ago, Washington’s average newspaper journalist earned about $45,000 annually. Today, the number is about $46,000, in a region where costs of housing and other necessities have skyrocketed over the same time. 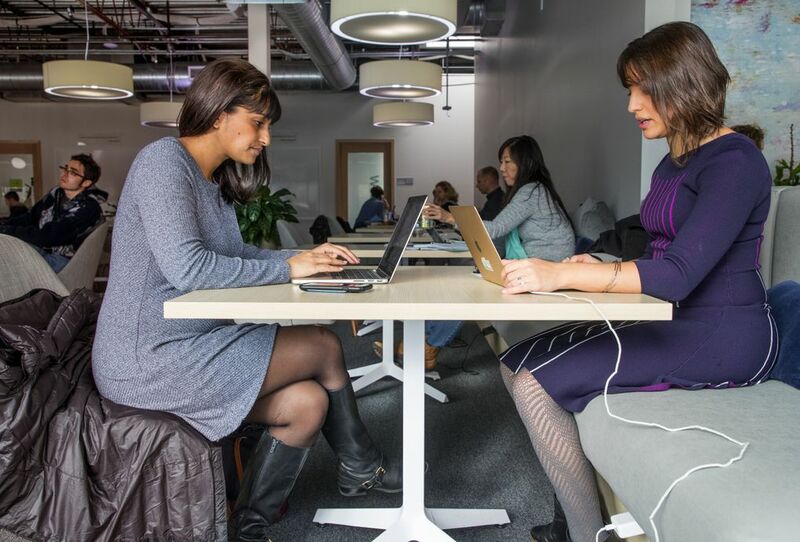 The effective reduction in pay makes it difficult to recruit and, especially, retain skilled workers, many of whom have been poached by Seattle’s growing — and better-paying — tech industries. 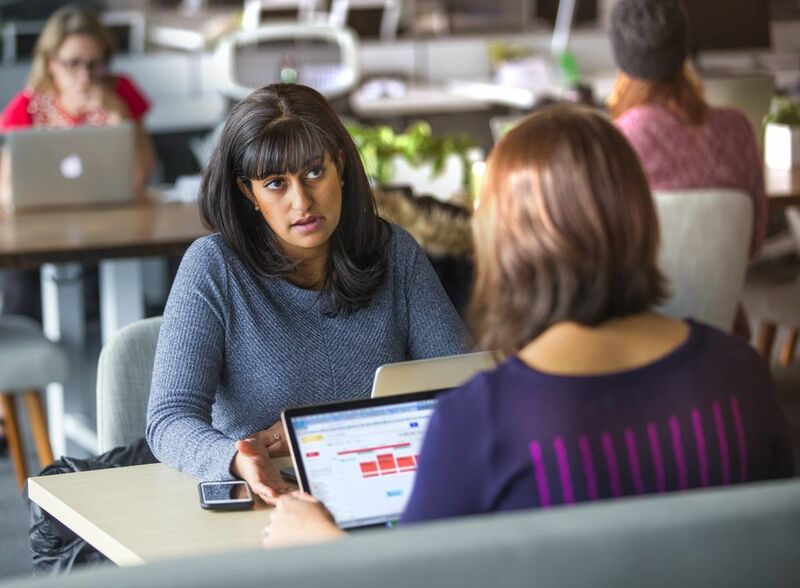 Most media employers also have struggled to maintain previous momentum to make their workforces better match the population of an increasingly diverse region. The resulting information gap portends a coming crisis in civic engagement, says state Sen. Karen Keiser, a Kent Democrat. WHAT, EXACTLY, HAS all that media carnage meant for local citizens? A few good things, in terms of diversification. But mostly, simply fewer critical eyes on all aspects of life. While celebrating recent successes of a more nimble news organization, The Times’ Matassa Flores, a 30-year Northwest newspaper veteran who also has worked as an editor at the Puget Sound Business Journal and online venture Crosscut, says she also struggles daily with coverage gaps. With less than half its former staff, The Times no longer covers King County government as a full-time beat. It has shrunk its coverage of the arts; sharply reduced its print features sections; and closed its Washington, D.C., bureau. The paper’s Olympia bureau has shrunk from two reporters to one, and the business reporting staff is about half the size it used to be. 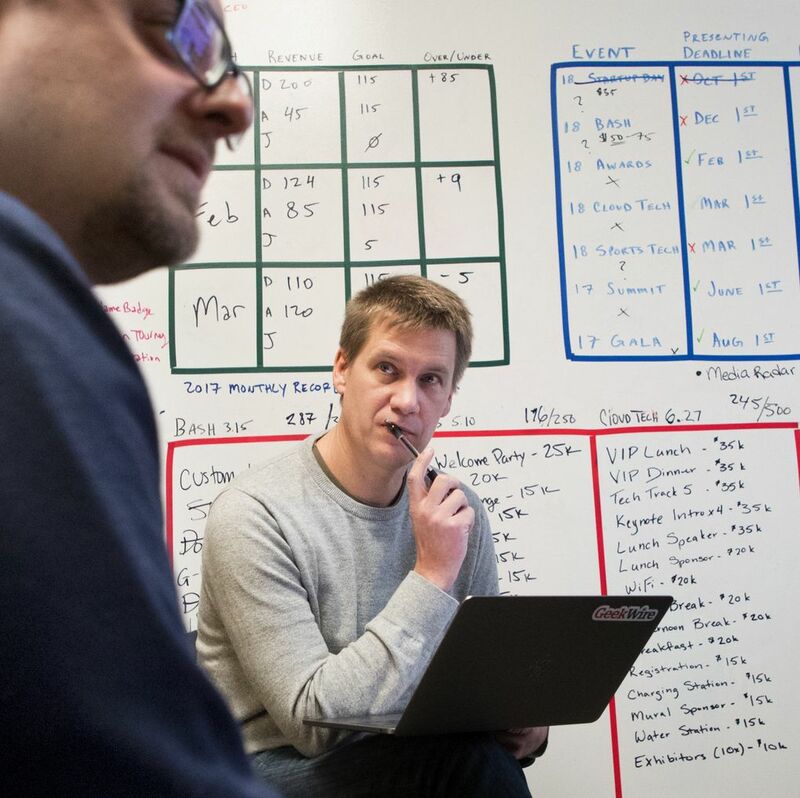 The newsroom, once regionally and even internationally focused with suburban bureaus and a full-time Pacific Rim reporting team, now gazes mostly over the Seattle metro area. She notes that The Times has managed a feat most U.S. metro dailies have not — maintaining local majority ownership, which comes with a staff that, while reduced, is still much larger than peer newsrooms. The Times has managed to avoid even more-staggering cuts by seeking alternative newsroom financing, now evident in sponsoring partnerships for “lab-based,” focused coverage of education; traffic; and, most recently, homelessness. Viewed with initial skepticism by some staff and observers because of the potential for perceived conflicts of interest, this “solutions journalism” approach has been successful in keeping a dozen journalists on the job, and likely will be an increasing focus of The Times in the future, Matassa Flores says. 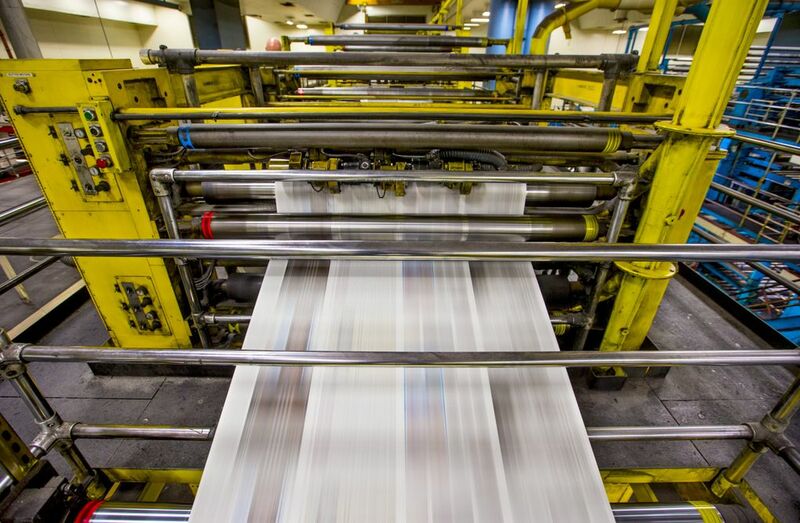 The company, like most print stalwarts, sent reeling by the upside-down market for both print and online advertising, has seen a decline in print circulation. Online, it has shifted its revenue focus from advertising to digital subscriptions, Matassa Flores says, and sales are above expectations over the past year. The Times continues to set the local news agenda on deeply reported stories. The paper in February won the prestigious Selden Ring Award for “Quantity of Care,” its 2017 investigation of surgery policies at Swedish Health’s Cherry Hill site — an indication that its investigative team continues to compete with big players nationally, despite being shrunk from 11 full-time staffers to four. EVEN SO, Seattle is a different place without competing robust news staffs, say Brewster and other observers. And while smaller, smart news startups have filled some niches in reporting and commentary, the region’s stunningly rapid transformation hasn’t been as well-chronicled as it might have been, they add. 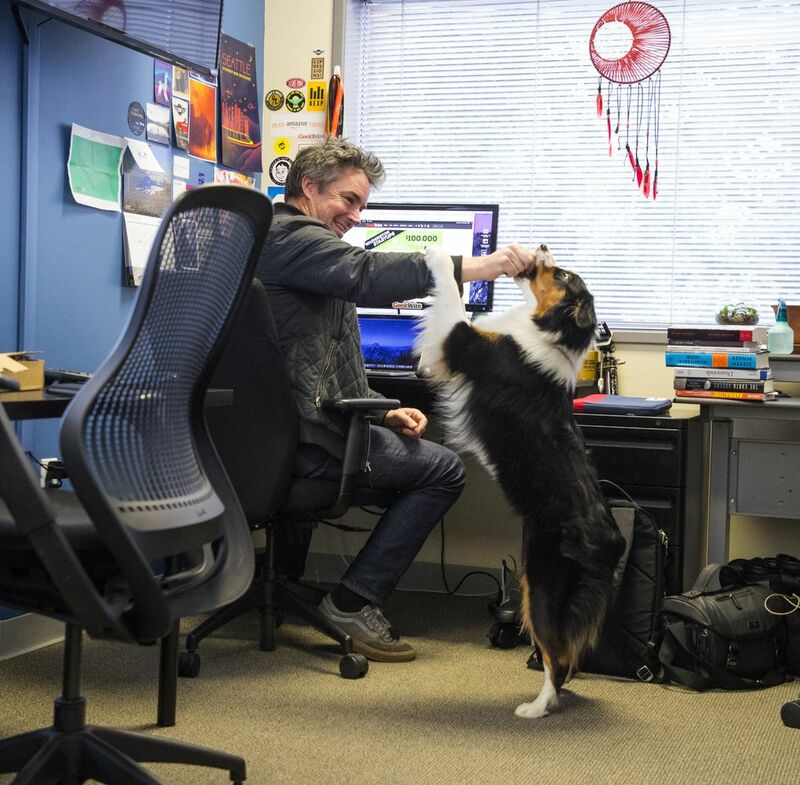 He sees a space in the local media market for a news organization, perhaps a magazine, with local owners intent on spreading the new Seattle ethic — sustainability, urbanism, tech or whatever — in an authoritative way that gets global notice. 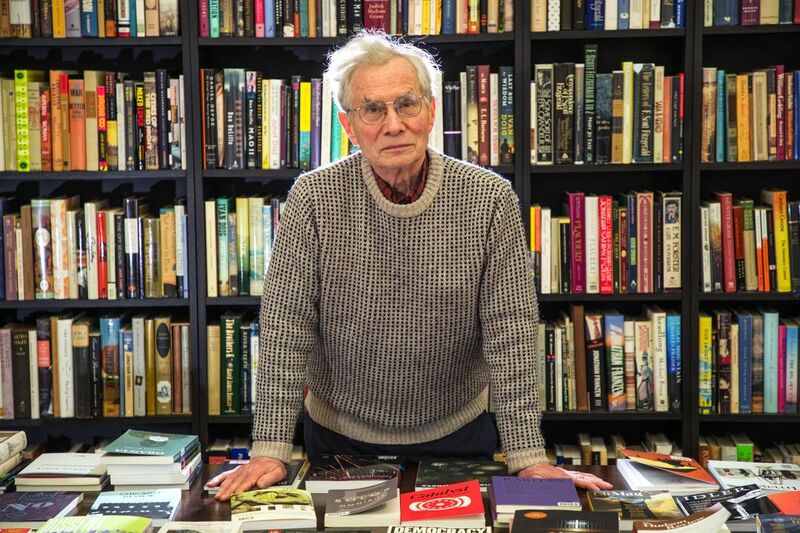 But he also has seen firsthand the financial challenges in making that happen — and a broad reluctance among the local very-well-to-do to invest in journalism even as a philanthropic cause. “There are no foundations locally that seem to want to support journalism” on a large scale, Brewster says. Not everyone is waiting for a Hail Mary, local-investment miracle. 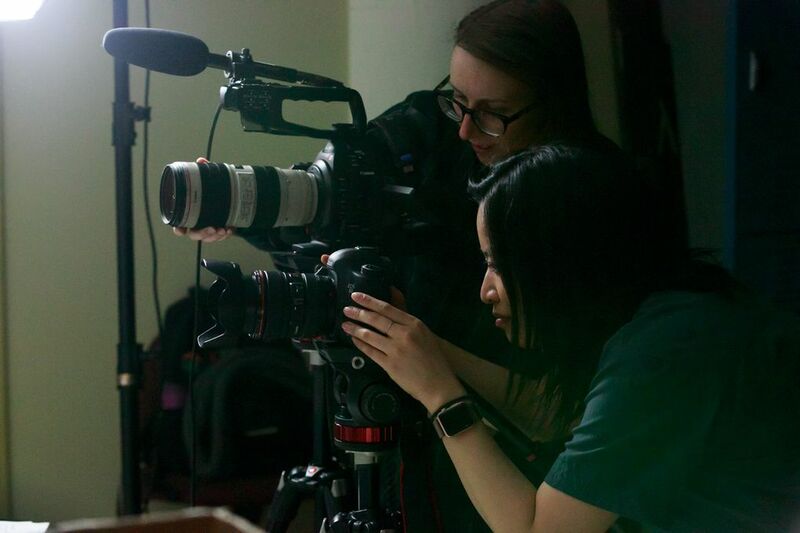 Some gaps in Seattle’s media blanket have been creatively — and successfully — filled by journos launching their own ventures. Longtime standout P-I sports columnist Art Thiel took his audience to a new home, Sports Press NW. 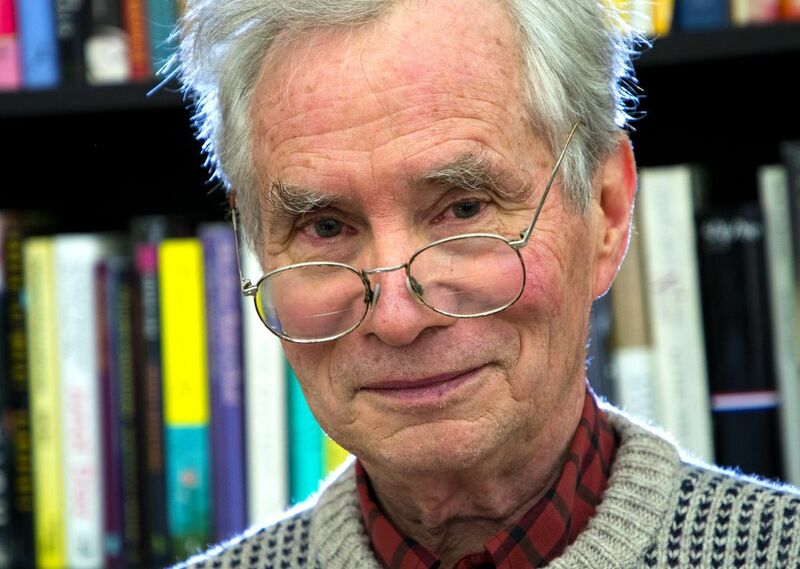 Other former print veterans founded Investigate West. The former KPLU radio, faced with being swallowed up by local public-radio competitor KUOW, last year completed a remarkable community fundraising drive that morphed it into independent KNKX. 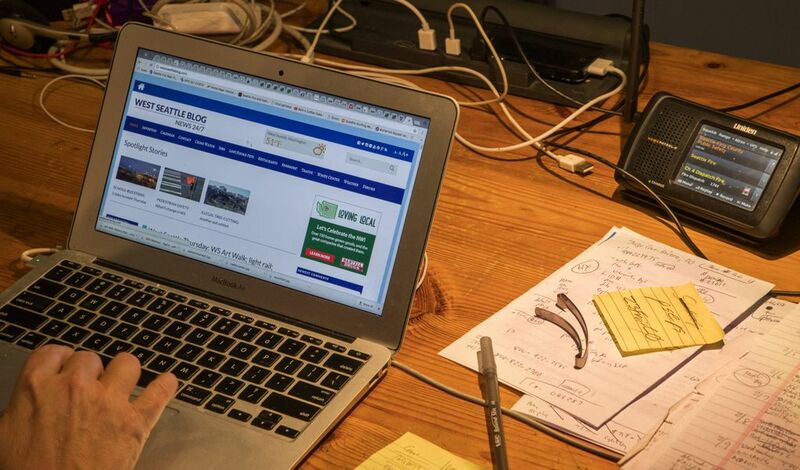 One take-away: People in Seattle will pay for independent, local news. 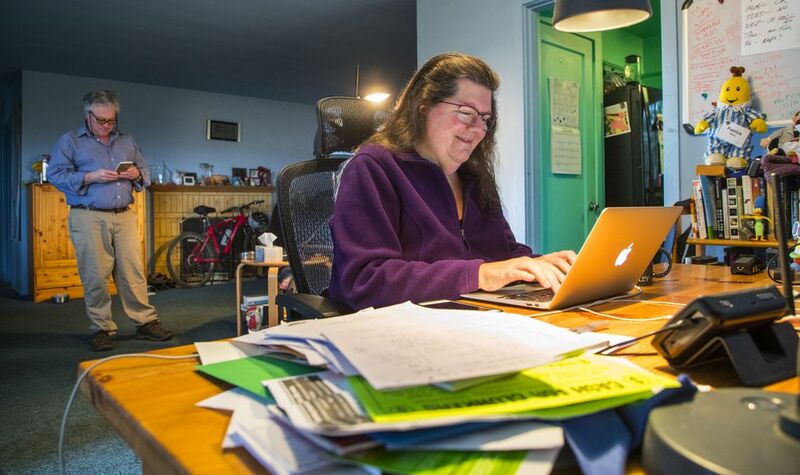 In the civic island of West Seattle, former local TV manager Tracy Record and her husband, Patrick Sand, launched and maintain the West Seattle Blog, a hyperlocal news site. It’s one of a handful of local news sites — others include the Capitol Hill Seattle Blog, the South Seattle Emerald, My Ballard, Seattle City Council Insight and Crosscut (now a nonprofit venture owned by KCTS) — that have managed to survive the full decade of upheaval, thanks largely to community members willing to pitch in to report community goings-on. 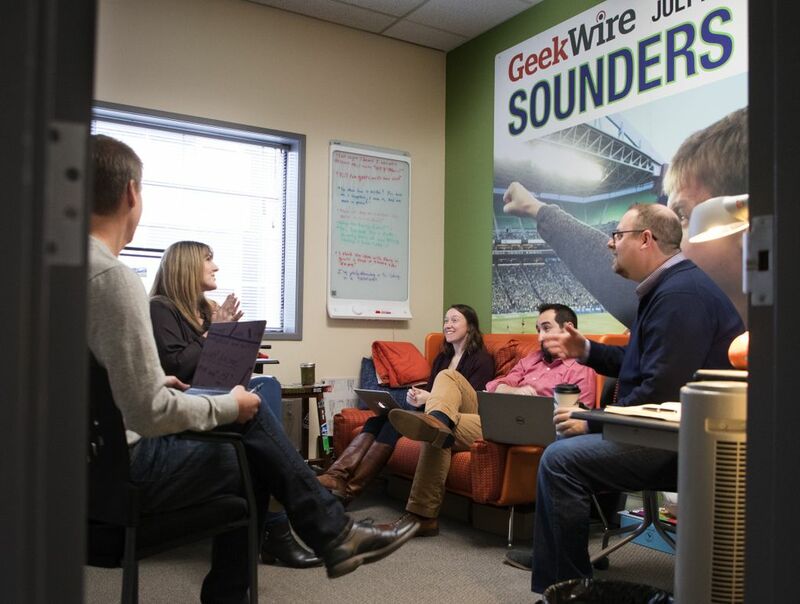 Another standout local venture, the tech-industry news site GeekWire, was started by former P-I reporters John Cook and Todd Bishop in 2011. Like other successful online news startups, it combines reportage with community-connecting events such as meetups and conferences, building an online, tech-focused community of readers. Its staff has grown to 15. 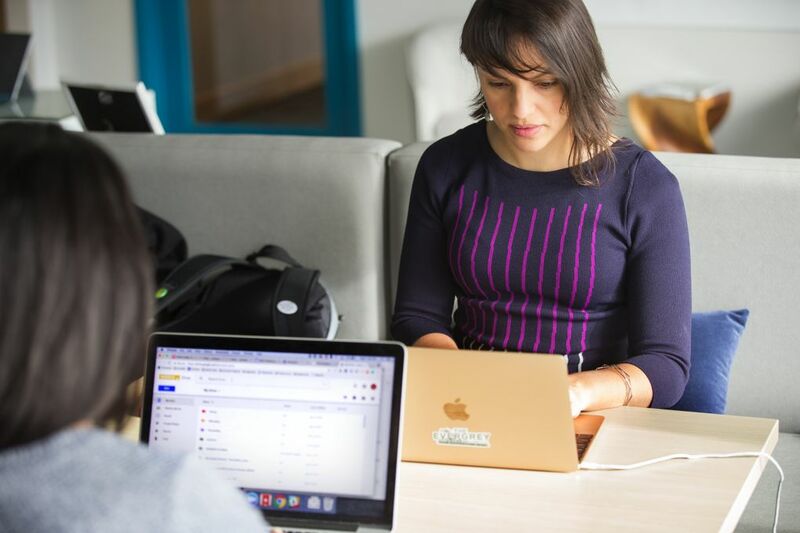 A SIMILAR community-building approach is Job One at an innovative news startup, The Evergrey, co-founded in 2016 by local news veterans Mónica Guzmán and Anika Anand. The Evergrey, rather than seeking to fill a niche abandoned by traditional media, seeks to establish one arguably overlooked by old media in the first place: a focus on building community connections for individual readers through a daily newsletter filled with news links, activities, discussion posts and other digital connective tissue. Before it launched, Guzmán and Anand conducted their own broad focus-group research about life in rapidly changing Seattle. The paramount theme was a sense of community disconnect. The degree of happiness of Seattleites they encountered depended largely on “whether they had found their tribe,” Guzmán says. Those who were grumpy and dissatisfied cited the vaunted Seattle Freeze. The opposites seemed to be connected via clubs or activities. The Evergrey partnered with a parent company, WhereBy.Us, which had its own new-wave news site, The New Tropic, in Miami and acts as a de facto publisher. The company hopes to make its money via “engagement marketing campaigns,” Guzmán says — establishing niche-market potential to advertisers by proving through an independent media arm that “we get” a particular community, AKA audience. And that, to the public, might be the brightest light amid a decidedly turbulent media transition — one that’s likely to accelerate, not diminish. Journalism, like nature, abhors a vacuum, at least in a democracy. The storytellers change, but the conversation continues. How and where it is told is up to the clickers — and page-turners — of the future.